All Liverpool postcodes begin with the letter L. Postcodes in Liverpool city centre generally start with L1, L2, or L3. 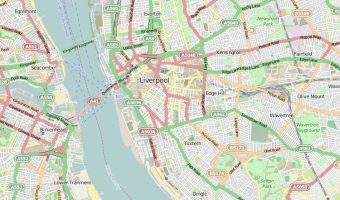 Others include L4 (Anfield), L7 (Edge Hill/Fairfield), L8 (Toxteth), L9 (Aintree), L14 (Broadgreen), L16 (Childwall), L17 (Aigburth/Sefton Park), L24 (Speke), L32 & L33 (Kirkby), and L34 (Knowsley). Visitors arriving by car and using a satellite navigation system will find the following list of postcodes and addresses useful. It includes popular destinations in Liverpool such as Liverpool John Lennon Airport, Liverpool One, Lime Street Train Station, Anfield (Liverpool FC), and Goodison Park (Everton FC). To travel to any destination just enter the postcode into the system. Find out how to dial a telephone number in Liverpool, Birkenhead, Bootle, Bromborough, Crosby, Ellesmere Port, New Brighton, West Kirby, or Widnes.